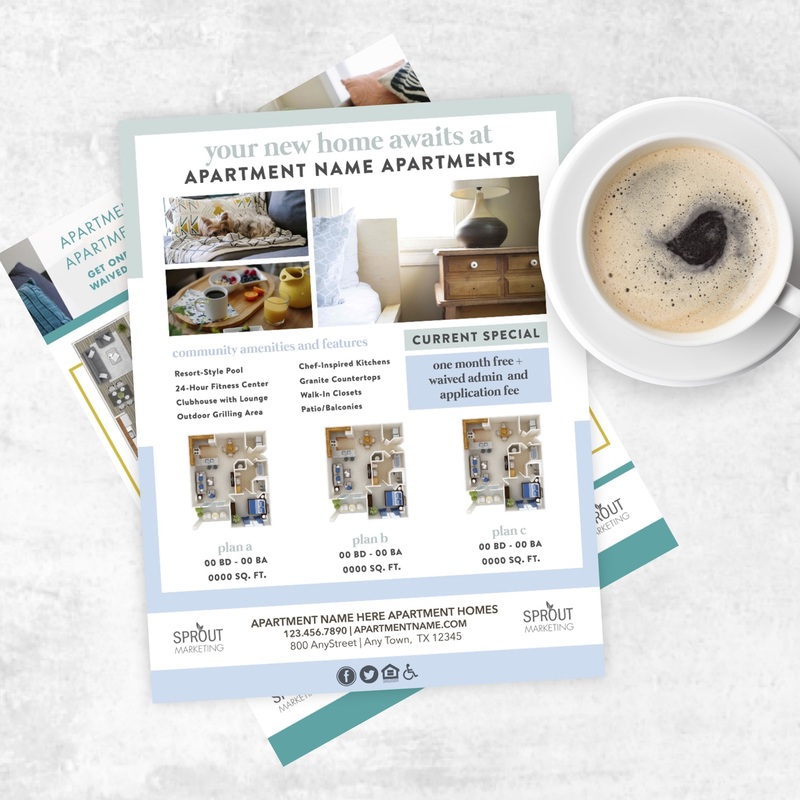 Daily Dose: A Mini Sales Sheet Customized for You . Are your sales tools helping or hurting you? Today we want to take a minute to focus specifically on your sales sheets. Sales sheets can be powerful tools in helping close a sale, but only if they are built with the end goal in mind… to sell. When faced with a floor plan that is difficult to lease, many times you need a more specialized tool. Enter: The Mini Sales Sheet. 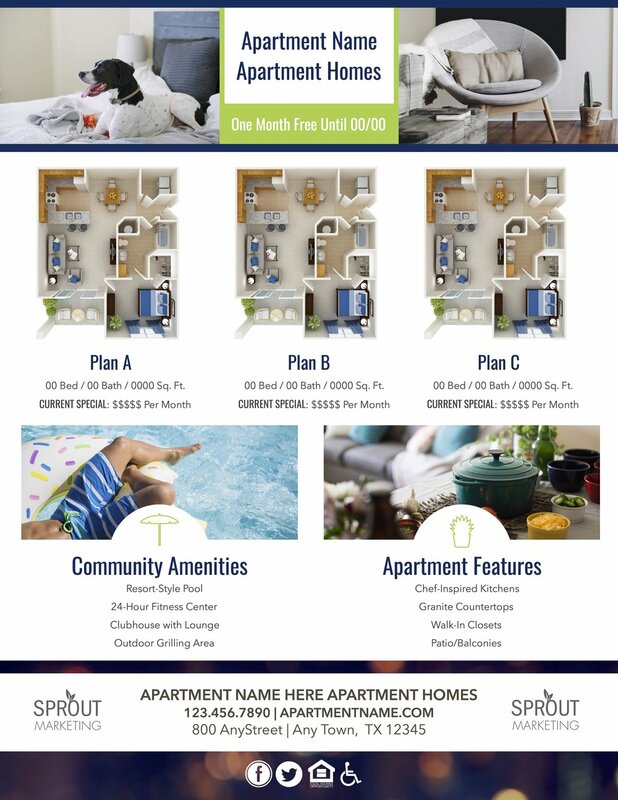 The mini sales sheet allows you to specifically feature floor plans that you are having trouble leasing. 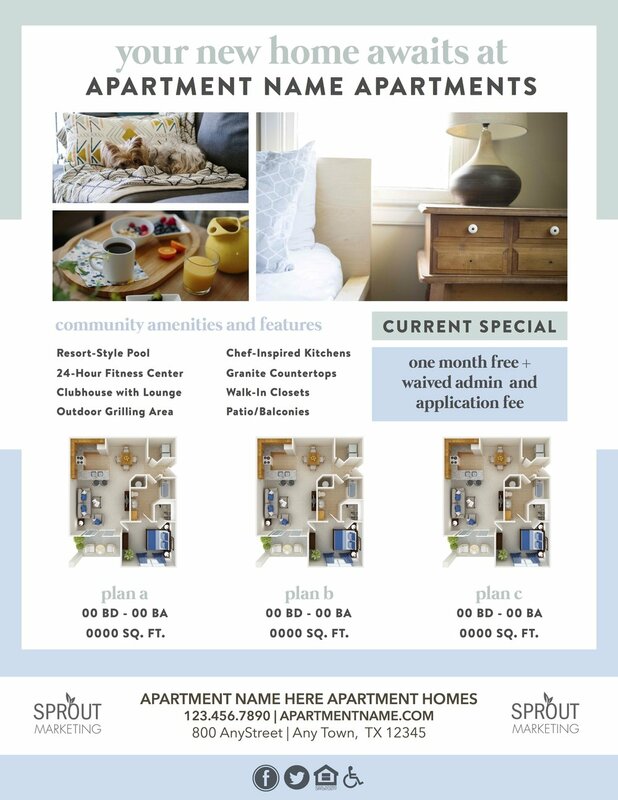 You can tailor your amenities to fit the target demographic for that specific floor plan. For example: A pricey, two bedroom unit can be repositioned for roommates. You would tailor your messaging to highlight what makes this plan ideal for them. If everything is still current and effective, congrats! You are good to go. If things need improvement, the Sprout Team can help. Get a mini sales sheet customized ($75) by selecting an option below.